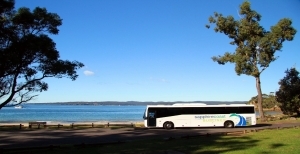 With a fleet of 40 buses and coaches, Sapphire Coast Buslines have a range of options available for schools, groups and private bus charter hire. We can also arrange full travel itineraries for groups and schools for bus travel right across Australia and overseas through our travel agency. Please note we do not hire out our buses for personal use (Dry Hire). All charter quotes include one of our fully-maintained coach and a qualified coach driver. 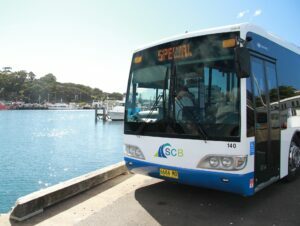 We choose our drivers for their impeccable driving skills, their friendly approach with passengers, their knowledge of the local area and their commitment to the services of Sapphire Coast Buslines. Our vehicles range from 45 to 61 seats, and options include air conditioning, seat belted wheelchair access, PA systems and luggage bins.